Looking to add a centerpiece to your backyard? 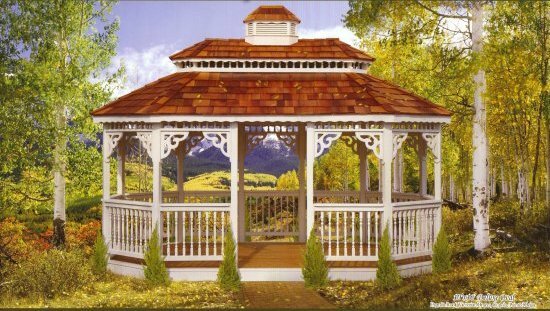 Consider a gazebo. Whether enjoying a moment of solitude in your garden or hosting an outdoor party, a gazebo will add that perfect accent to your lifestyle. 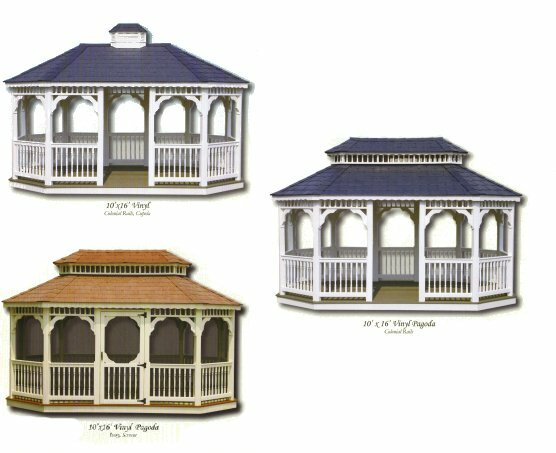 Add options such as a pagoda roof for a little pizzazz or windows and screens for year round use. We can even install a ceiling fan and outlet with our electrical package. Come by Outdoor Home Center and see our models. You can choose natural wood or low maintenance vinyl. Please call if you have questions or would like directions. 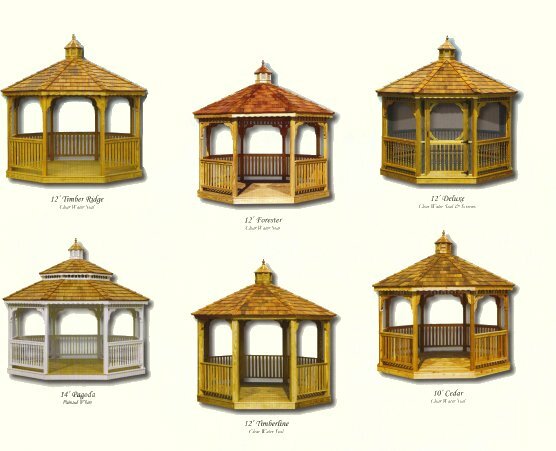 All Gazebos are delivered fully assembled and ready to enjoy unless ordered in modular kit form. 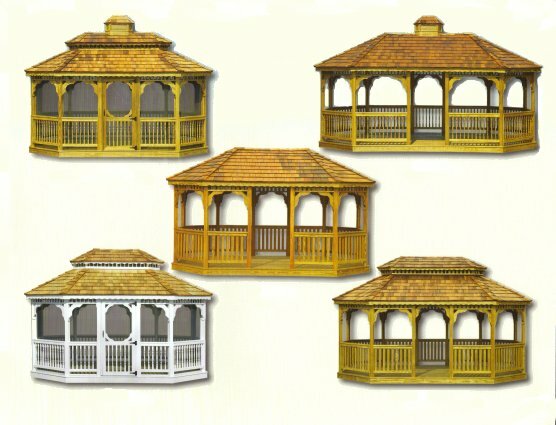 Pressure Treated Gazebos are constructed with #1 Southern Yellow Pine for maximum strength and durability. The lumber is kiln dried twice reducing the chance of shrinkage, twisting and the usual waiting time associated with sealing or painting pressure treated wood. All lumber is milled on four sides creating a smooth and subtle finish. 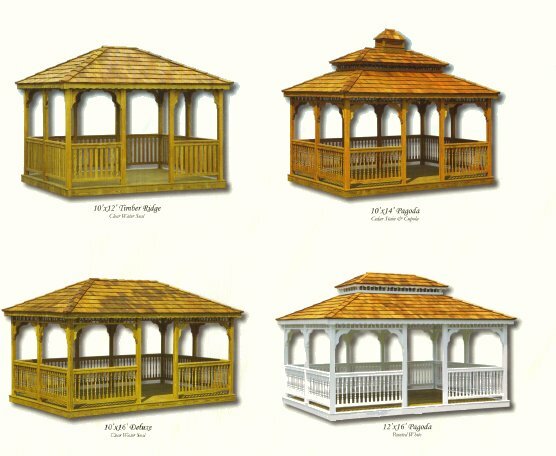 Cedar Gazebos are identical in construction and style to the pressure treated models but are made with Architectural Grade Western Red Cedar. Cedar is known for its natural beauty and resistance to decay. 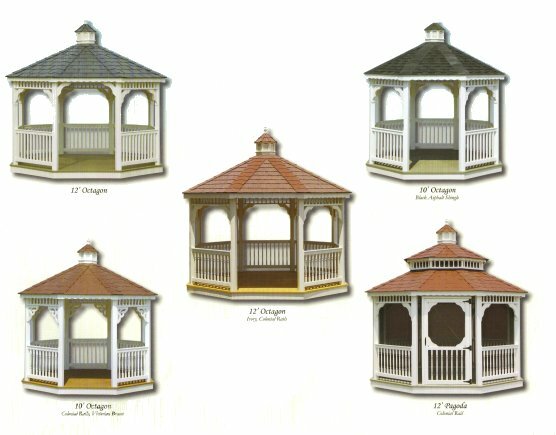 Maintenance Free Vinyl Gazebos mirror the wood gazebos in style and appearance. No need to spend time sealing, painting or staining as the durable vinyl material will not fade, crack, rot or peel. 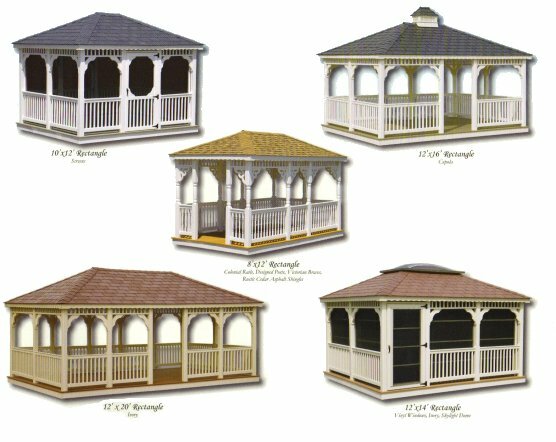 Manufactured slate shingles, attached to a cedar tongue and groove roof underlayment, and a EverGrain Decking floor combine to give you a virtually maintenance free Gazebo that you can enjoy for many years.